This section looks at WWF Monday Night Raw for 1994. This looks at all of the participants and matches for the 2nd year of WWF’s flagship show. These sections are exactly the same as the current section of the site, with the Wrestlers Section, followed by the Matches Section, and then the Gimmick & Title Match Section. If a wrestler had multiple gimmicks, he is listed by the last gimmick used. Also, majority of the opponents were enhancement talents. Their names are what they were announced as or if not then by results found on several different sites, or their preferred name on profightdb.com. Also, though we now know him as Jeff Hardy, he wrestled his 1st match as Keith Davis, so that is what he is listed here. Show Numbers are listed in order. 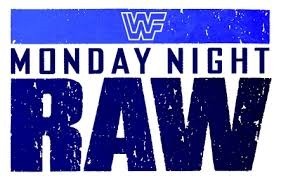 The March to WrestleMania IX & Survivor Series Showdown replays from the previous night were not counted as official episodes of Raw, which are not on the Network, and therefore will not be counted here, as official episodes. But the replay of Sunday Night Slam on August 22 is counted as an episode on the Network. They re-aired the matches, Lex Luger VS Crush & Diesel VS Typhoon, in a different order, with Vince McMahon & Randy Savage talking in between. The show will be counted in the records, but not the matches since they were not original matches.